I’ve been pondering all the damage that Hurricanes Harvey and Irma have done. The real cost will not be financial, but rather environmental, although not in the way you might immediately think. Analysts are suggesting the financial bill may exceed $100bn. A lot of money in anyone’s language. State and federal governments will chip in, insurance companies will pay out, and premiums will rise over the next few years. Many people will be out of pocket, and their rebuilds may take considerable time. But in the end, Houston and Florida will largely come back. In the process, countless houses, buildings, cars, boats, marinas and structures will be written off – The bulk of these ending up in landfill. This is not great, but also far from a tragedy. What will be a tragedy is all the resources used to replace them, and these will come from all over the world. 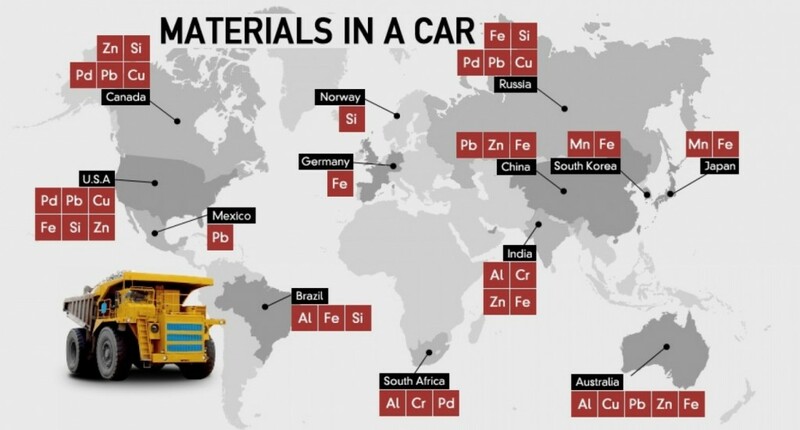 Consider a new car, which has metals sourced from a myriad of countries (see image below). On top of this are the natural products such as cotton, leather, rubber and wood, and synthetic products such as polyesters and poly-carbonates. And the carbon footprint – A new mid-size car in the US spews around 20 tons of GHGs before you drive it a single mile. The fact is, our planet pays a heavy price for every new car built. And with Harvey and Irma, there’s a lot of written off cars needing replacement. There’s a similar story for all the houses to be replaced. A single ton of concrete puts out over 300kg of CO2. Raw materials are drawn from all corners of the globe, and massive amounts of energy consumed to manufacture them into construction form. Then there is all the TVs, lounge suites, kitchen appliances, chainsaws and kids toys to be replaced. These all come at a price to the planet. The real cost of a Hurricane is not so much the financial price, but rather the environmental cost inflicted on all corners of the globe. 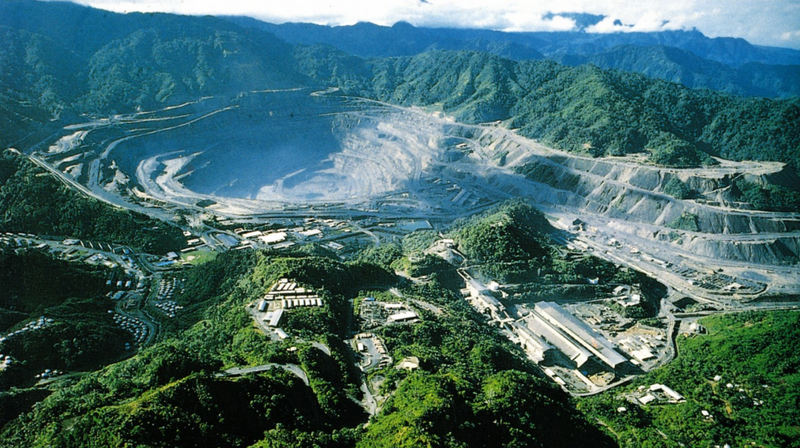 I remember a few years ago we busted several illegal gold mining operations in a National Park in Costa Rica. But it wasn’t the locals consuming the gold – it was us in the west with our new cars, iPhones and plasma TVs. While we were happy to make the arrests, it struck me at the time that the gold miners were just poor people trying to make a living, but the real culprits were us in the west for our insatiable demand. Since then I’ve seen it time and again, where we expose or arrest local people who may be conducting illegal activities, but where the raw material is headed elsewhere. Illegal logging in Sumatra, illegal quarrying in South Africa, illegal sand mining in Trinidad and Tobago. That is just the illegal activity, but there is additionally a myriad of legal operations under government sanction, where pristine wilderness is decimated to make way for the harvesting of raw materials that ultimately get consumed by the west. We may feel good that Yellowstone and Yosemite National Parks remain pristine, yet we are unwittingly culpable for the destruction of countless environments around the world through the purchases we make. The recent hurricanes have just made this even worse. Much of the $100bn reconstruction will go to far away lands, and we might consider this a good thing. Yet the reality is that it simply puts more pressure on finely balanced ecosystems. The people of Houston and Florida will pay a heavy price for the hurricanes, but so too will the planet.